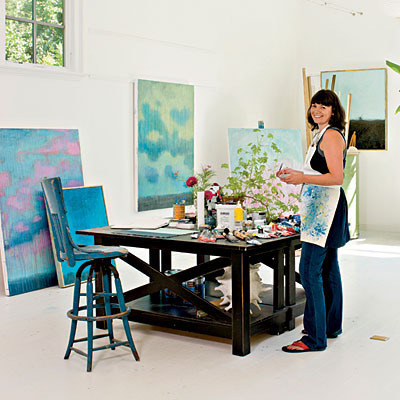 I'm in love with the backyard studio of Charlottesville artist, Abby Kasonik. 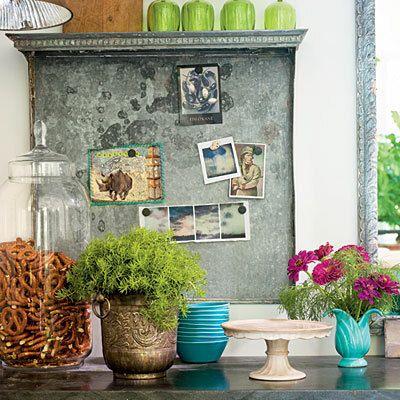 Love it so much I stole my mother's copy of Southern Living in which it was featured. 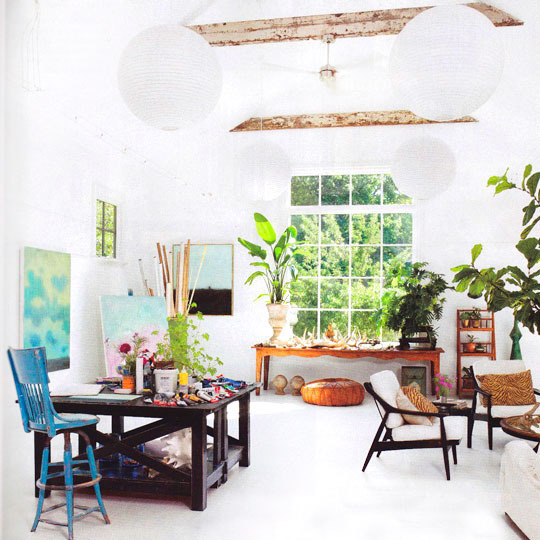 The bright and airy white washed interior is the perfect foil for Abby's meditative landscapes. She cleverly built in canvas storage that as a former gallery manager and frequenter of artist studios is essential. 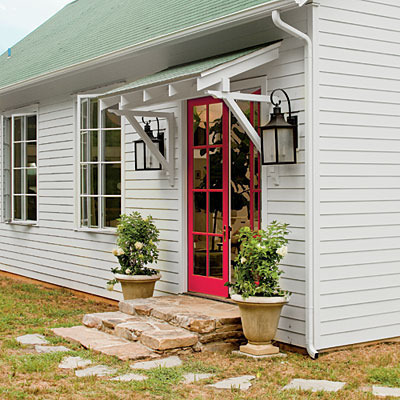 The simple clapboard structure is highlighted by salvaged architectural elements like the beams, windows and the kitchen island - even the curtain rods had a previous life as lightning rods. 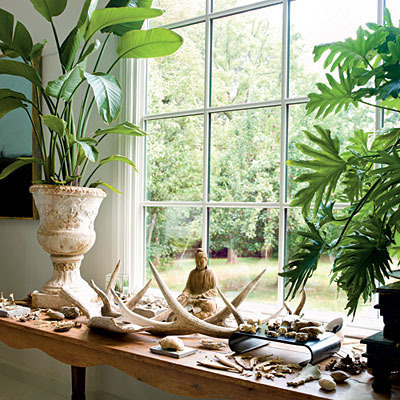 I love all the greenery used throughout this space to bring texture and color to the intense white walls and flooring.